Chantelle Johnson, MA, LPC is a Licensed Professional Counselor currently available for online counseling (see background and story below) . For more information, please click here to submit your inquiry regardng services offered and to find out if Christian Counseling can be helpful for you. 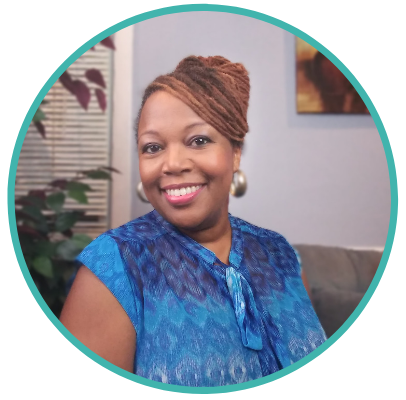 Chantelle is the Clinical Director and Owner for Soul Care Christian Counseling Services located in Charlotte, NC. Soul Care offers compassionate Christian Counseling Services using Christ centered theology and principles of psychology to assist individuals in being all that God has created them to be and having the abundant life that Jesus Christ desires us to have. We partner with the local church and the community to help meet the needs of our clients. Soul Care provides outpatient counseling and comprehensive clinical assessments for people experiencing issues such as depression, anxiety, grief and loss, mood disorders, abuse concerns and a host of other mental health concerns. At Soul Care, we are blessed to have clinical staff who seek to be an extension of God’s love, grace & mercy. We genuinely care for our clients and value the counseling relationship. We work with individuals, children and adults, families and groups. We also provide premarital and marriage counseling, mentoring and tutoring services. Most of our work is onsite but we do offer services within the home and community when possible.